What a view. All photos courtesy of Lowes San Francisco. 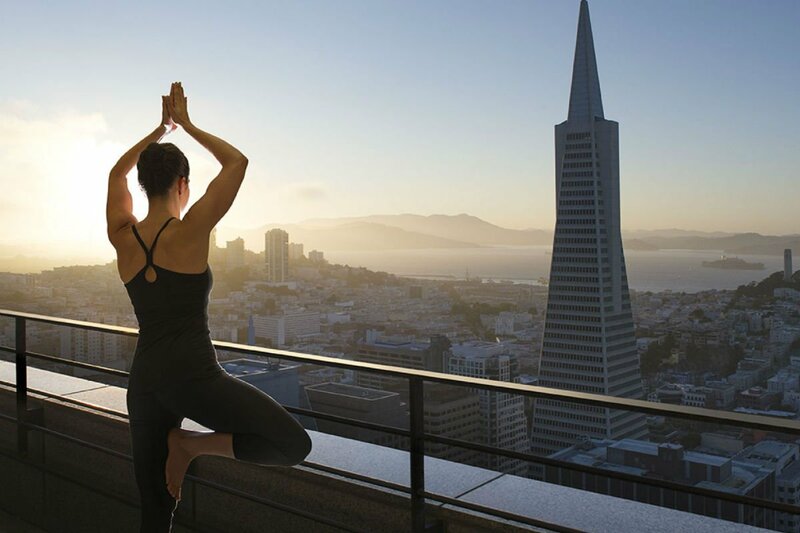 If you've never put San Francisco and incredible views into one thought before, it's because you haven't looked out the window at the Loews Regency San Francisco. From the sprawling landscape of the city to the endless blue bay and the magnificent Golden Gate Bridge, this is one panoramic town that needs to be seen from the sky. 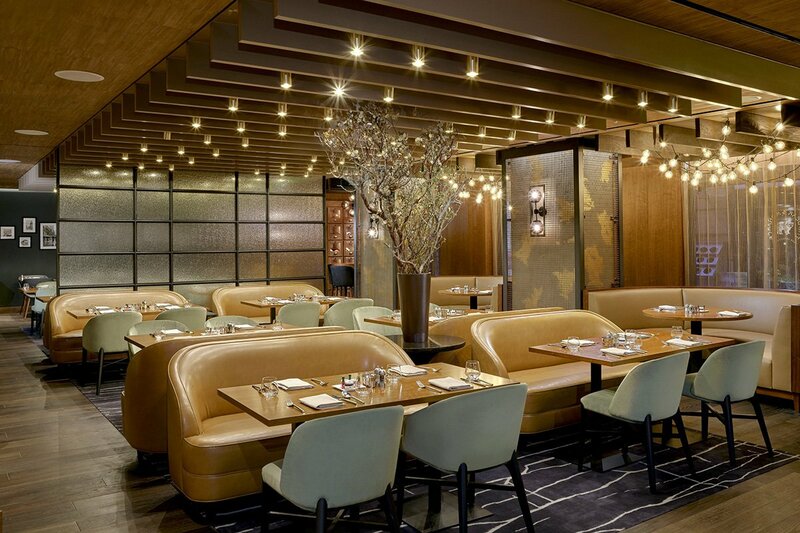 The Financial District mainstay, a by-product of the Manhattanization of San Francisco in the 1980s, effortlessly combines cosmopolitan energy and coastal comfort in one high-rise hotel. 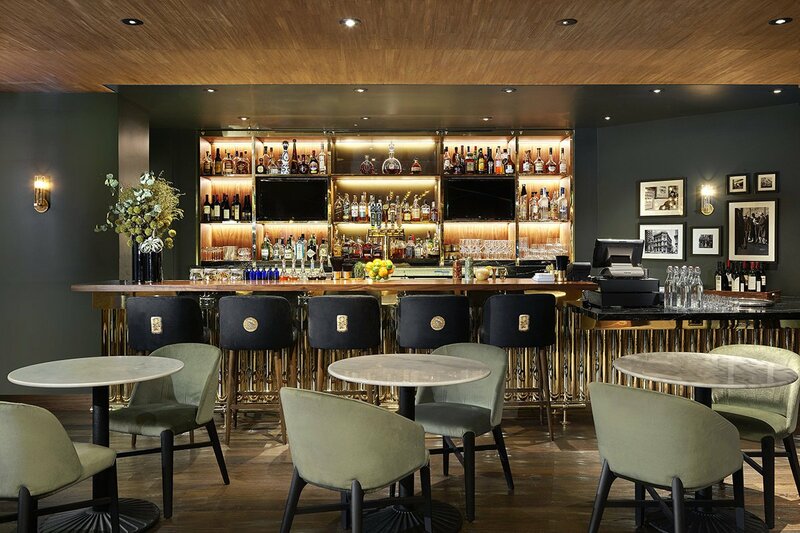 A quiet, unassuming, and refined hotel, grown-up and confident enough in its ability to show you a good time without shouting about it, has spacious rooms reminiscent of old-school hospitality efforts. The sandy beige color scheme interspersed with shades of blue brings the tranquil shifting tides and shoreline of the Pacific right inside, for a hotel stay sure to be filled with more highs than just the view. Rates change seasonally and typically start at $469 depending on the room type. Click here for reservations. Or get in touch with the Fathom Travel Concierge, and we can plan your trip for you. Vibe: Classically soothing hotel ambiguity; all the hospitality elements you recognize (bed, desk, bathroom) without any distracting pretension. Beige, but not bland. Standout Detail: The highest rentable beds in the city, with guest rooms on the top eleven floors of the 48-story building. This Place Is Perfect For: The less-seasoned traveler or business traveler looking for a classic, hassle-free, home-away-from-home hotel stay. 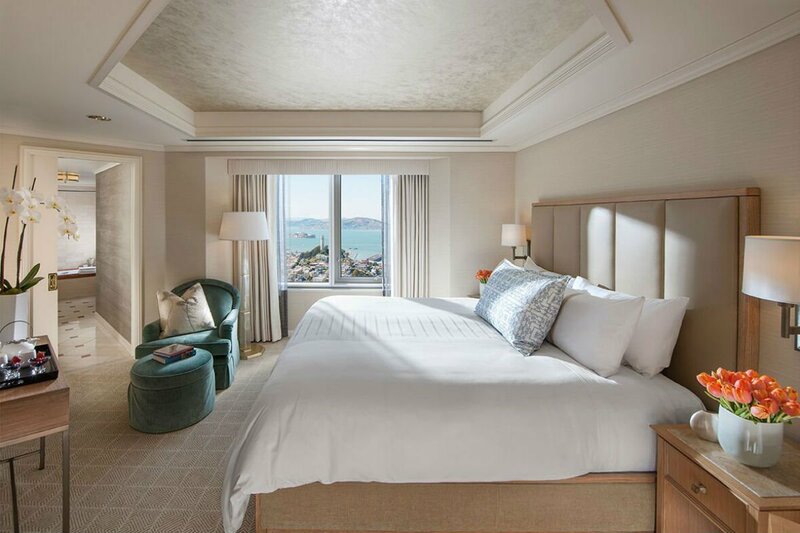 Rooms: 155 guest rooms including seven suites, all with views of the city and the bay. Rooms are bright and airy, light-filled from by floor-to-ceiling windows, with creamy walls and flooring and pale timber furniture, finished with soothing accents of ocean blue, sage, and teal, reflecting the water outside the window. Recline on Frette linens wrapped in a complimentary bathrobe while making the most of the tech and entertainment systems, including a 47-inch flat-screen television with digital on-demand, hi-speed WiFi connecting up to six devices, iPod docking station, and a sound system designed by the audio-visual experts PSAV. Bathrooms, fitted out in Italian marble, are stocked with Julien Farel anti-aging haircare and body products and professional hair dryer. On Site: The Sky Deck outdoor terrace, located on the hotel’s 40th floor, hosts Spirits in the Sky, offering evening drinks Tuesday through Saturday, with a rotating cocktail menu that includes drinks concocted in a hickory and applewood cocktail smoker. A 24-hour fitness center is available on the third floor, with free weight and stretching areas, where complimentary amenities including headphones, cold towels, fresh fruit, and bottled water. 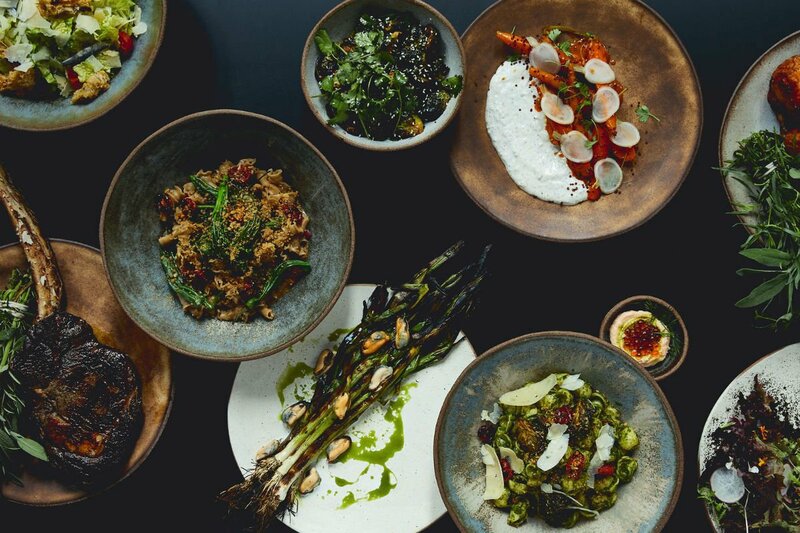 Food and Drink: Recently opened Bear & Monarch has round-the-clock eating needs covered, serving rustic American fare at breakfast, lunch, and dinner, as well as offering a bar menu, daily happy hour, and weekend brunch. 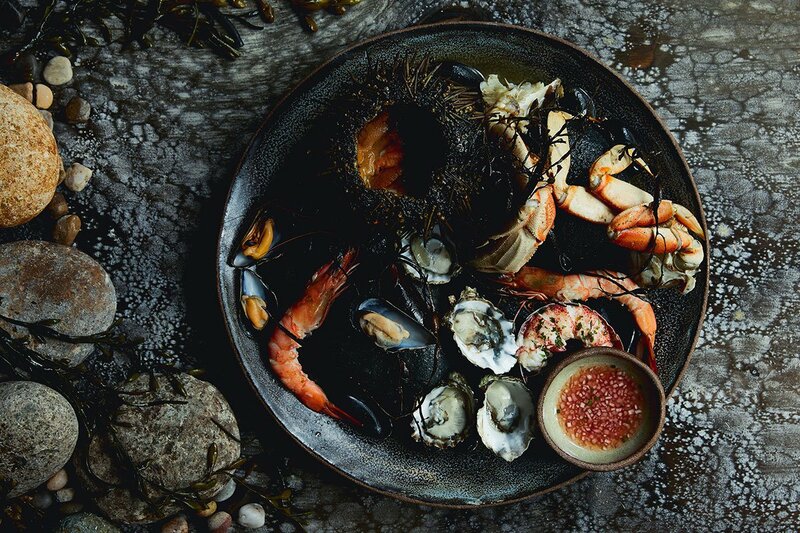 The industrial-chic restaurant draws on the local maritime and Gold Rush history, a dark and moody space interspersed with pops of teal and metallic gold. 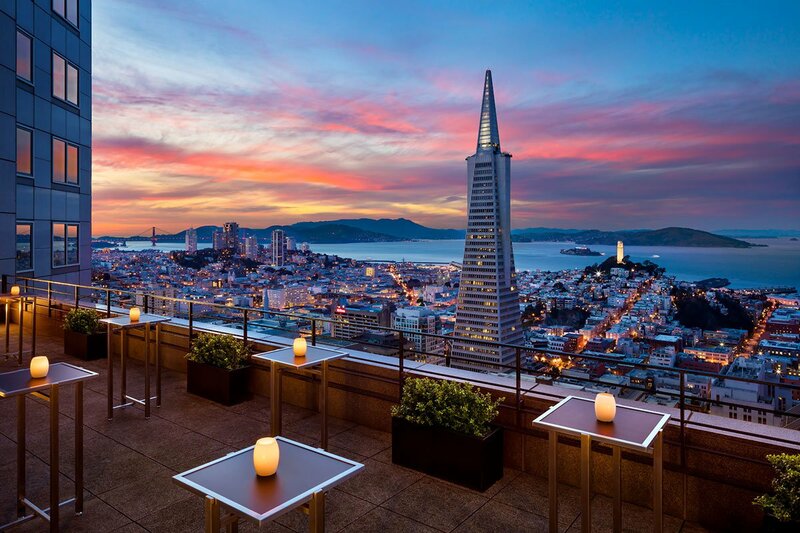 Located in San Francisco’s business district, Loews Regency is a short walk to the city’s eastern shoreline and waterfront attractions of the Embarcadero. Also in walking distance is San Francisco’s Chinatown, the largest outside of Asia and the oldest in North America, and the Golden Gate Fortune Cookie Company, a must since San Francisco won the rights to call themselves the homeland of the fortune cookie in the '80s. Write your own fortune and watch it get folded into one of the 20,000 fresh, warm cookies they pump out every day. This is a city of invention, even when it comes to pastries; on the other side of Chinatown you'll find Mr Holmes Bakery serving all things croissant, including their famed flavor-of-the-day cruffins. For evening entertainment, head to comedy club The Punchline, a popular spot where top comedians test new sets.